Most homeowners focus on their storm doors and windows when it comes to improving security. It is all too easy to forget that your garage door is also a point of entry that can leave your home vulnerable to intruders. By far the easiest way to deter any would-be criminals is to make sure that your door is working properly. If you want to take things a step further, there are a few additional precautions available. 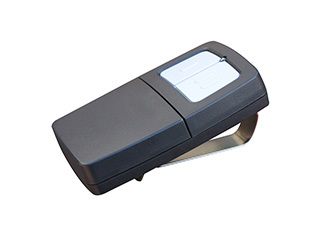 If you are looking to install a new garage door opener, look for a model with a timer. This is a great tool for anyone who gets to the end of their driveway and can’t remember whether they shut their door or not. This simple feature will ensure that your door automatically closes after a certain period of time, and thus prevent you from having to remember to close it. Even if you do head out to the store without closing the door, it will only stay open for a very short while after you leave. While storing your remote control on your vehicle’s dashboard may seem convenient, it also creates an easy target for thieves who aren’t afraid to break into your car. Once they have possession of your remote, they'll have gained an easy way to access your home and all the valuable items that you might have stored inside your garage. In addition, while glass panels might provide an attractive decorative detail to your garage door, they can also provide intruders with a way to peek inside and glimpse at your most prized possessions. Consider installing frosted glass that creates more opaque look while also adding style. Finally, it is a good idea to install a deadlock on the door that connects your garage to the rest of your home. Even if thieves or intruders were able to penetrate your garage, they will have a lot more trouble getting into your main living area. Keep in mind though that any alterations to your garage door or its opener may void your warranty. If you are especially concerned about security issues, you may want to consider consulting our experts in order to learn about more advanced measures that you can take. Be sure to call us at Garage Door Repair Sugar Land for any related need you may have. We deal not only in security, but in safety as well, and our professional technicians can make sure your system is operating at an optimal condition and continues to do so for as long as it possibly can.